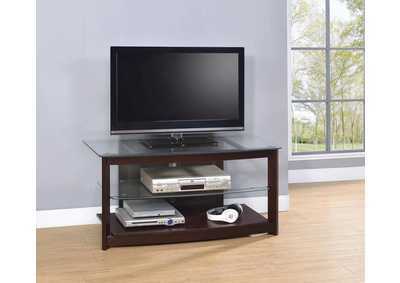 This TV console is your classic entertainment center piece, with unique tempered glass elements. 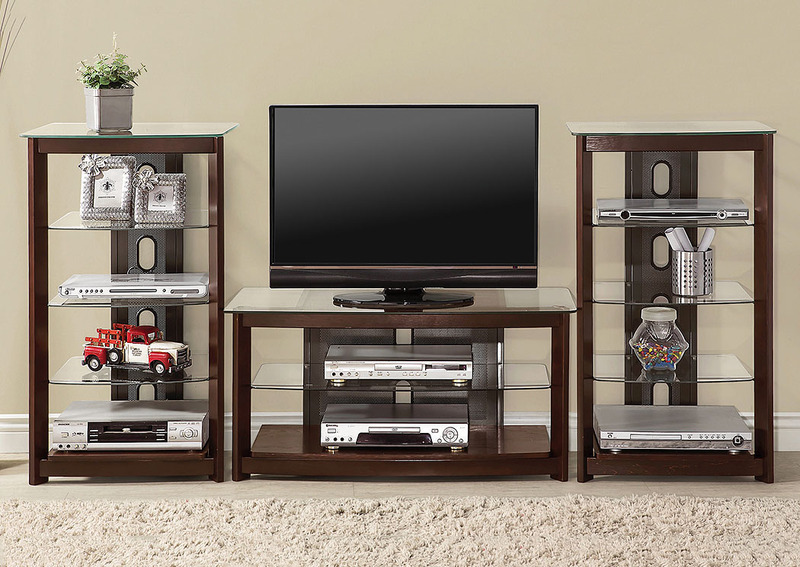 With a brown finished wooden frame and bronze finished metal support, this TV stand features tempered glass tops and shelves for a modern element. For a maximum TV size of 55 inches and 77 pounds, this TV console will work well with most contemporary living room decor. A matching media tower can also be added for more storage space. 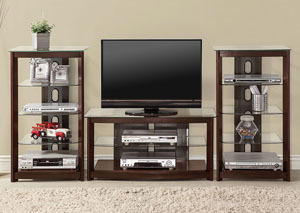 This media tower is a wall unit designed to let your entertainment center do the talking. 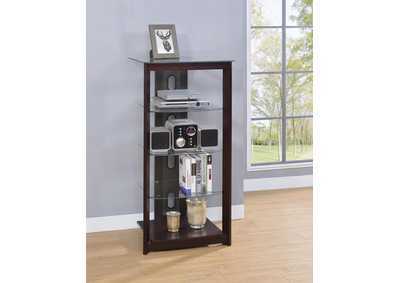 Constructed with a brown finished wooden frame and bronze finished metal support, this tower features three tempered glass shelves for durability. Pair this wall unit with the matching TV console for a stunning entertainment center for your living room.